Doesn’t Your Child with Special Needs Deserve Their Best Life? Have you ever worried about your child’s future? Wondered who would step in to love and care for him or her if you were no longer able to do so? Are you overwhelmed trying to keep track of all the details swirling around inside your head — doctors, therapies, medications, IEPs, government benefits? Do you long for your child to succeed in school, find a job that fits their abilities, and build meaningful social connections? Are you concerned that you might not be able to afford all of the resources to help your child truly thrive? Does planning for the future feel impossible because you barely have time to plan for today? Most parents of children with special needs struggle with these same questions. You’re not alone and we’re here to help. WE DON’T JUST CARE ABOUT PLANNING. How well have you planned for your child with Special Needs? Take our FREE self-assessment to find out, see where you’re well planned, and determine areas where there may be room for improvement. At ENABLE Special Needs Planning, LLC, we believe that everyone has the ability to be impactful in the lives of others. This ability is what gives each of us a sense of purpose in life. Traditional Special Needs Planning only helps families prepare for what will happen to their child when the parents are no longer around to provide for him or her. While creating a transition plan is absolutely essential, at ENABLE we help families plan comprehensively. The primary purpose of comprehensive Special Needs Planning is to enable individuals with special needs to live purposeful, impactful lives every day, based upon their own unique abilities, dreams, and goals. 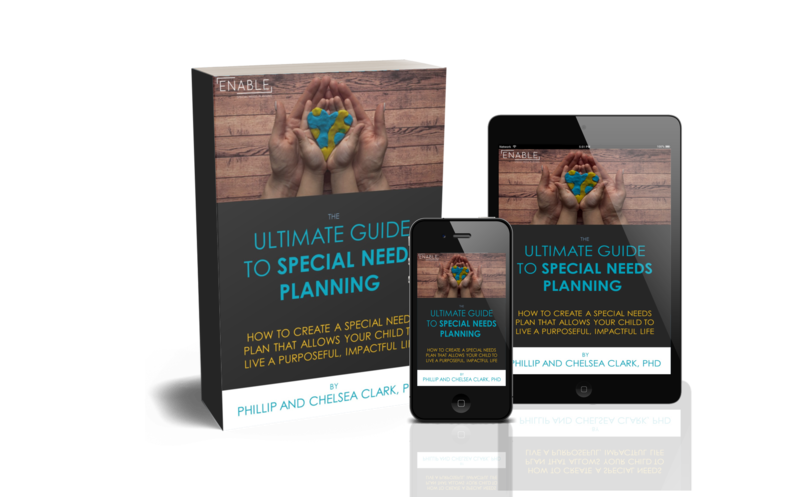 Written by: Phillip C. Clark, Founder & President, ENABLE Special Needs Planning In today’s culture, images and stories of success are at our fingertips 24/7 through social media. It’s easy to get caught up in comparing ourselves to others. On the one hand, social media can be a source of inspiration and motivation, showing us … Continue reading Special Needs Planning: How Should We Measure Success?